One of our favourite museums in the world, MoMu, the institution that is housed in the same building as the Royal Academy of Fine Arts: Fashion Department aka the world-renowned Antwerp Fashion Academy, is racking up one stellar show after another. 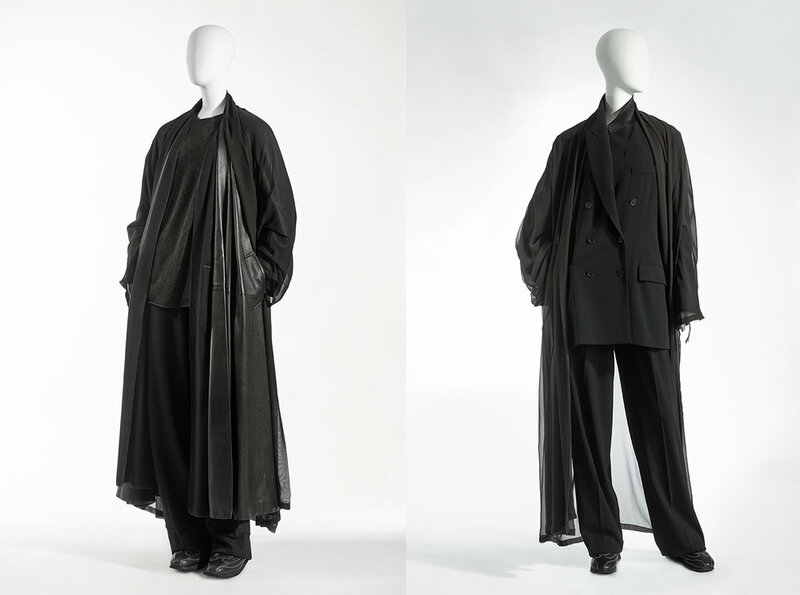 Following the highs that included: “Dries Van Noten: Inspirations“, “Game Changers” and most recently the touching “Rik Wouters & the Private Utopia“, we are now treated to a deep-dive into Martin Margiela’s six-year stint (1997-2003) at French luxury house Hermès. While avid fans are well aware of the parallel parcours the notoriously independent designer rode next to heading his own Maison Martin Margiela, it is clear that this has been very much the more subdued part of the Belgian’s story. Until now. MoMu director and curator of “Martin Margiela: the Hermès Years”, Kaat Debo, took it upon herself to initiate an exhibition that on the one hand shows the boundless creativity Margiela displayed while on the other drawing out the similarities between the designer’s independent work and the silhouettes and pieces he created for his employer. KNOTORYUS was invited to Debo’s offices where she graciously and passionately talked about working on this exhibition with the help from Martin Margiela himself. KAAT DEBO: For a few seasons I’ve been aware that Martin and his ideology had been coming up again in the press and that he’s being talked about a lot. Two seasons back I think it was Business of Fashion who posted an article subtitled “The Real Protagonist of Paris Fashion Week is Martin Margiela”. KNOTORYUS: That was also a bit of shade, I think. Wasn’t that a commentary on Demna Gvasalia and even more so his peers? KAAT DEBO: Yes, but the article stated that there were a lot of collections referring to Martin as a sort of homage. Whether you call it a tribute or a copy, that’s up to you, but what I think is that there are a lot of ways in which houses and designers are working with his heritage. I also feel like there’s a lot of nostalgia out there; journalists who mention that they miss his ideology and his vision. I thought it was very remarkable and I was wondering: “Why now?” He has been completely gone from fashion for almost ten years. I feel like that ‘moment’ has come because the fashion world has been under a lot of pressure for a few seasons. The systems that have been in place for decades, those business models are being questioned. Nobody really has any answers, but you can feel that there’s a younger generation that is sort of turning away from the fashion establishment and is doing its own thing. And in a climate like that, you can sense that someone like Martin Margiela becomes very relevant again. People are very much resorting to his ideas and his heritage and what I find very interesting is that it’s often houses and designers that are very different from each other: from the most classical houses to the most avant-garde and experimental designers. And that in itself is a huge accomplishment. As you know, in 2008 the MoMu already set up a big retrospective on Martin Margiela in which his work for Hermès was not featured. We also don’t have his designs for Hermès in our collection. I felt like it was a shame that that work was so underexposed. Coincidentally, I happened to be in touch with Martin about something completely different but in our conversation, we had landed on his work for Hermès and he said that he’d actually really like to do something with that work. That’s when I replied that now was really the time. KNOTORYUS: It’s definitely not that easy to find a lot online about this particular body of work. Not in an anthologised or concise manner, anyway. KAAT DEBO: And I’m really happy that we can change that. It’s true that this work does not have a digital or online presence – being late 90s, early 2000s, before the big breakthrough of social media and the digital era. As a museum, I think that if we don’t highlight or study that work, it’s at risk of disappearing in the folds of history. Meanwhile a lot of people refer to it and I think that there are entire evolutions in fashion, intentional or not, that can be traced back to Martin’s work for Hermès. Working on this exhibition, I’ve also noticed that he had worked out a vision for Hermès that fitted into a meticulously defined framework. He knew very well that he had to work within the outlines of the luxury segment. But I think that these are also ideas you can just as well apply to another segment or another label. I think that’s the genius of Martin. That his hold on certain ideas is rich enough that you can keep building on them for a very long time. KNOTORYUS: That was one of my most important questions. How does someone who is so set on freedom and experimenting sign a contract to design for a house with a rather set heritage and clientele? I am aware of the mutual respect between Jean-Louis Dumas, the former CEO of Hermès, and Margiela, but it still seems like such a big leap of faith. For both! I am very curious to know more about these agreements. KAAT DEBO: Well, when Martin was appointed he made some very clear demands. He wanted to be given carte blanche, that was very important to him and it was granted. From the get-go he explained what he wouldn’t do and what he wanted to change. He wanted a new logo. He thought the classic “Calèche” logo was fantastic for the purpose it was originally designed for: trunks, luggage, leather goods, saddles… But he didn’t see that within the modernity he envisioned for his ready-to-wear collection. At home he had a vintage Hermès glove, from the 70s I think, in which he found an older off-white Hermès logo that said “Hermès Paris” and he remembered in one of his first conversations with Jean-Louis Dumas, that he had asked: “What does Hermès mean to you, what does it evoke for you?” And that Dumas had answered: “Paris, Hermès is Paris”. So, all of a sudden it came together. Over at Hermès, they were of course slightly jarred because changing a logo is no little feat. But they agreed it was ok for the collections Martin worked on, which were the women’s ready-to-wear. KAAT DEBO: From the beginning, Martin also stated that he wasn’t going to make any carrés, which of course is one of the Hermès icons. And he wanted a very discreet colour palette. He called that ‘les tonalités’. He was more referring to tonality than colour. Tonalities are actually colour hues. So Martin’s colour palette for Hermès was very discreet: ranging from different shades of beige, brown, grey to several shades of black. Which of course was diametrically opposed to what Hermès was: orange, colour, prints. Another thing that was typical of Hermès clothing in those days was the use of costume jewellery and jewel buttons, which were quite expensive to produce. Martin didn’t like those and he didn’t see that happen on his clothing. At the time, logos were very important and he also didn’t want to do that, because he wanted the silhouette to be as pure as possible. But, he compromised and developed buttons made with six holes instead of four. And in those holes, you could create an ‘H’ with your thread. So that was his way of doing a very subtle logo. KNOTORYUS: How did they agree on what he would do, though? You mentioned ‘carte blanche’, but I can imagine Hermès needed some reassurance. KAAT DEBO: Martin was very much aware of the segment Hermès is in, he knew his designs were going to be sold for a lot of money. So his three base pillars were comfort, timelessness and supreme quality. He said: “If I am going to work with the best quality materials that feel very comfortable, then they should make for a timeless piece. And the other way around: if the style is going to be enduring and comfortable, then the quality needs to be superior.” That’s why his vision for Hermès was to create a timeless wardrobe. You could argue nothing is really timeless, but if I look at the pieces today, which are almost 20 years old, then you could actually send everything back out on the streets now. KNOTORYUS: He clearly showcased a strategic and intelligent mindset going into this new endeavour. Did he feel that at Hermès he had people who empowered his vision from the start? KAAT DEBO: Martin definitely had a few people surrounding him that he would employ as a sounding board, but I think what drew him to Hermès was the craftsmanship, the tailoring. That’s really the base of what he did for Hermès. I think Jean-Louis Dumas understood very clearly from the beginning what Martin wanted to do. Martin tried to translate that craftsmanship into a modern and contemporary fashion scope and that’s what Hermès needed. KAAT DEBO: At the time of his appointment in the late 90s, Martin Margiela was actually the first real designer for women’s ready-to-wear. For menswear you already had Véronique Nichanian, who is still there. For womenswear, his predecessor was Claude Brouet. Claude Brouet was an icon in French fashion, she had worked for years as the fashion head editor of Marie Claire and Elle. She had been appointed by Hermès not to design, but to coach a design team. Martin had noticed that she had good vision but it was a disadvantage to have other people translate that vision for her. It was Claude Brouet together with Jean-Louis Dumas who had been talking about who could succeed her. The story goes that at a certain moment during these talks, Dumas called his daughter Sandrine who was walking in Martin’s shows at the time. You know that Martin did a lot of street castings, but she was an actress at the time and close friends with Martin’s first press agent. So that’s how she walked in a couple of shows and she had always said: “Martin, your clothes are amazing, and there’s actually something classical about them”. So when Dumas called Sandrine and said: “I’m here with Claude Brouet and we have a couple of designers in mind, what do you think?” Martin Margiela was on that list and Sandrine said: “Without a doubt, Martin Margiela is your guy.” So she was the one to sway her father. And I always felt like there was a lot of respect between Martin and Jean-Louis Dumas. KNOTORYUS: Could you elaborate on the evolution Margiela brought to the house? His work for Hermès was very subtle, soft and understated, so I am very keen to go into detail. KAAT DEBO: Martin made a lot of technical innovations, which the press at the time didn’t really pick up on, because that’s obviously hard to communicate with a runway show. Speaking of which: Martin didn’t want to do any shows, but rather invite journalists in small groups to the showroom and have the team explain the collections, so they could show the linings and let them feel it… But that was a step too far for Hermès, so they proposed a compromise by hosting the runway show in the flagship store with all journalists sitting in a single front row, so everyone was very close to the collection. But for instance, Hermès is known for its carrés, and which part of the carré would Martin use? The carrés have got hand-rolled seams that are sewn up by hand. He started applying that technique on the finishing of blouses and tuniques. 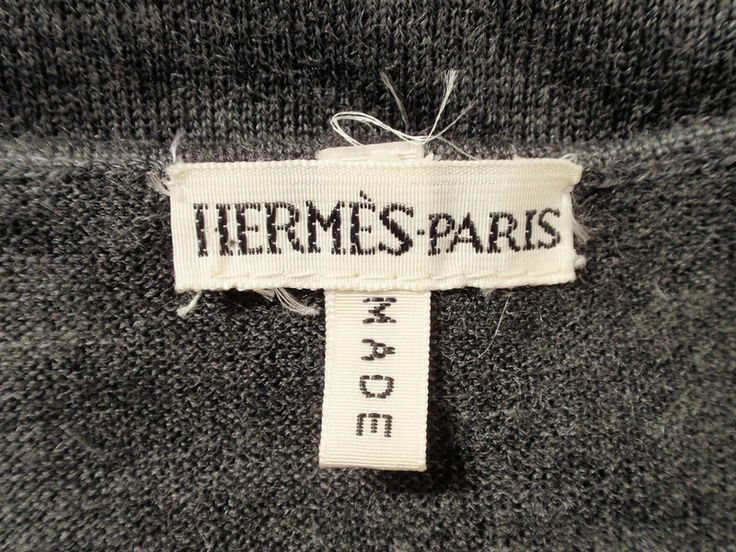 He also took the seamless knitting technique that Hermès had until then only been able to do in short lengths for the cashmere lining of gloves, but Martin was the one to have the ateliers develop it so they could create seamless jumpers. Which was very difficult to do. But he wanted women to be comfortable. And that was also very revolutionary, not to make clothes for the crowd who is looking at the clothes, but for the person wearing them. Another highlight is the ‘anti-pluie’. KNOTORYUS: If I had to choose a favourite from Martin Margiela’s oeuvre for Hermès it has to be the black ‘anti-pluie’ x deerskin coat combination. KAAT DEBO: He designed the ‘anti-pluie’ in black and brown with a shape inspired by the kimono. It’s made from fantastic material, not only is it water-repellent -a drop of water just lays on the surface like a pearl, it’s also crease-free. You can wear it during the day to protect your leather coat, afterwards, you bunch it up in your handbag and when it starts raining again and you get it out, it doesn’t have a single crease. At night you can wear it and you’ve got your elegant ‘peignoir de soir’. It’s all so simple, but I think it’s incredible. I’d also like to highlight the ‘double tour’. KNOTORYUS: Which is featured on the exhibition poster. KAAT DEBO: Exactly. It’s also one of the most iconic pieces he designed for Hermès. He didn’t design the watch, that was an existing design created by Henri d’Origny from 1991, but that idea of the ‘double tour’ was his – the double wristband. On the poster it’s issued in ‘cuir à bride’, which is one of his favourite kinds of leather. It’s something that’s typically used in the world of horses as a horse halter. It’s a leather that’s treated with a shard of glass and oil so it’s less prone to gliding. It’s much rougher and finished with a saddle stitch. That’s also based on a retro idea. When he went out shopping as a student, he discovered a long leather belt that was used to keep a trunk shut. He would wrap that twice around the hips to create a double belt. That idea is what he applied here, which allows you to wear that watch in a much more nonchalant way. Normally a watch’s dial is position in a certain way, with this watch it can be placed different and sort of plays around the wrist. It was copied immediately worldwide, by Swatch among others. KNOTORYUS: I also love how he kind of trolled the Hermès clients by not giving them a Birkin bag, but by taking out the keychain protector and enlarging it into a necklace. Was it easy for him to keep that can-and-will-do-anything world of Maison Martin Margiela separated from his work for Hermès? KAAT DEBO: It’s funny, because Martin told me that initially that’s what he thought he was doing. Trying to keep these worlds very separate. But by working on this expo, he said: “It’s only afterwards that I’ve noticed that a lot of ideas resurfaced”. And he found that a lot of passions that were clear to see in the Maison, came back at Hermès. And that’s what we’re trying to convey very clearly in the exhibition. These very subtle overlaps, because at first glance it looks completely different. The Maison is extreme avant-garde and Hermès is luxury fashion and you immediately recognise it as that. So in the exhibition we try to show that there was a single DNA. The DNA of one man who created those two worlds and where you can clearly tell it’s coming from him. KNOTORYUS: The staging is very important here at the MoMu, as it is in all great museums. But I feel sometimes it’s taken for granted that twice a year you get to step into an entirely different universe, where new rooms are built, specially coated walls are mounted, tapestry is woven. I told my husband when we left the ‘Rik Wouters & the Private Utopia’ expo, that a great exhibition can be such a mood changer for me whenever I’m feeling a bit weary. KAAT DEBO: I’m really glad to hear you say that! Well, this time, you might be even more surprised. I think it’s the most ambitious scenography in the shortest amount of time we’ve ever done. We literally put blood, sweat and tears into this. And that’s why I’m very happy you agree that’s very important because sometimes we wonder: “Ugh, what did we take on!” ‘Margiela: The Hermès Years’ was a very complex scenography to build, but you have a to be a little crazy to do it. That’s what I always think. Throughout the years, we’ve been doing this for 15 years, it’s always a matter of budget and you also need a very good team to pull it off. By now, I have a fantastic team with a lot of experience that isn’t afraid to do the work. The changeover timeframe between shows is so short; we don’t get two months. We literally had four and a half weeks to take one set down and build the next one. But what we are eventually doing is adding an extra dimension to clothing that was never made to be shown in a museum in the first place, so it’s all worth it. KNOTORYUS: If people take away one thing from this exhibition, what should that be? KAAT DEBO: The improbable and unbridled creativity of Martin Margiela and how his layering and concepts are never overpowering. You don’t feel like you’re wearing a concept, in the first place they’re clothes. Clothes made and conjured up in a very unlikely way, but there’s such a strong vision at the base of it all. I think you can tell by seeing these two worlds coming from one single brain. That in itself is remarkable. What I think is important for any exhibition is that people leave feeling inspired; that they didn’t just consume something but that you add something to their lives and that it affects them in a way. Whether you learn something or experience something emotional or get the feeling that you want to do something of your own… That it fans the flame of your creativity. That’s very important to me. KNOTORYUS: Well, this conversation already has, so I can’t wait to see the exhibition. Thank you so much for talking to me, Kaat.